While I was trying to adjust back to life in the office (reentry sure is difficult), Chloe and Sophie were galavanting around upstate New York. Boy, I wish I was a carefree child again. 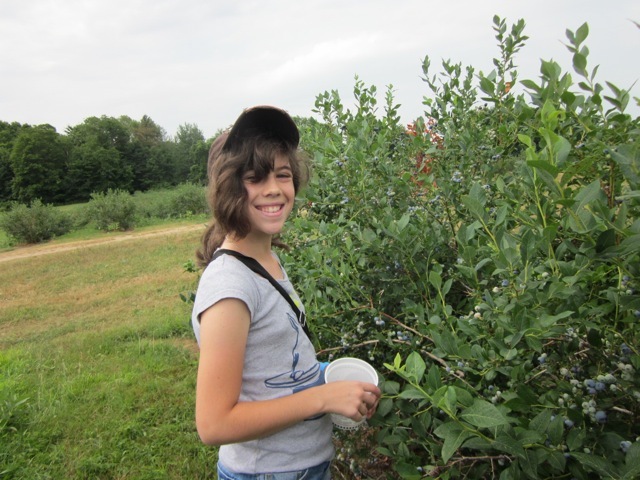 On today’s agenda: blueberry picking. Did it matter that Chloe and Sophie were not fans of blueberries? No. Because picking fruit is fun. 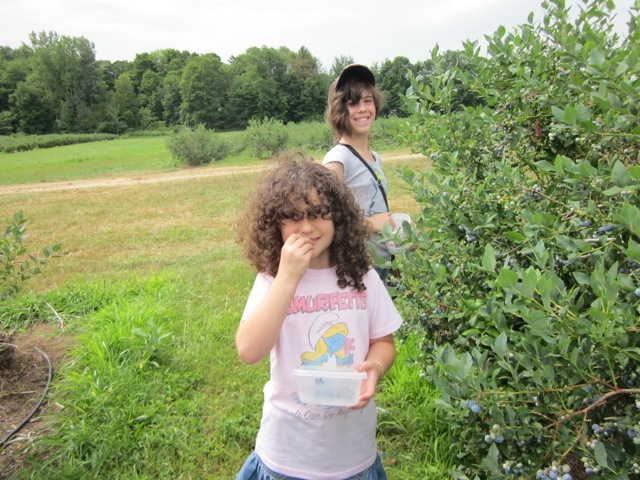 And because everyone knows that kids will often eat food they help prepare or harvest, they both sampled the berries. Sophie apparently couldn’t eat enough of them. God knows how many times I’ve tried to encourage her to eat the little buggers at home, but when they’re bought at the supermarket and sitting in the fridge, it’s just not the same. Chloe, on the other hand, claims she was forced under duress to eat them (her own words). I’m ok with that, though – I’ll take a 50% success rate any day.